The data showed people under 40 years old were 74% more likely to have a stroke if they had shingles, after adjusting for other stroke risk factors such as smoking, high cholesterol and obesity. The research also pointed out that patients under 40 were 2.4 times more likely to have a warning stroke if they had shingles and 50% more likely to have a heart attack. In those over 40 who had shingles, the risk was not as great; patients were 15% more likely to have a warning stroke and 10% more likely to have a heart attack. “Anyone with shingles, and especially younger people, should be screened for stroke risk factors,” said lead study author Dr. Judith Breuer. This is not the first study to look at the link between shingles and stroke/heart attack risk. For example, in an October 2009 issue of the American Heart Association’s journal Stroke, a study found adults with shingles were at an increased risk for stroke, especially if they had shingles that affected the eyes. Compared to adults without shingles, those with the painful skin rash were about 30% more likely to suffer a stroke within a year of the attack. Patients who had shingles in and around an eye had four times the risk for stroke in the year following the episode. "Many studies have shown that people with herpes zoster infection are more likely to develop stroke.," said lead author, Dr Jiunn-Horng Kang, attending physician in the Department of Physical Medicine and Rehabilitation at Taipei Medical University Hospital. "But ours was the first to demonstrate the actual risk of stroke following herpes zoster infection." For some doctors, these findings on the shingles virus and its relationship to stroke raise red flags. Levy also brings up an interesting point: Shingles is considered to be a virus that primarily infects the elderly. In fact, the herpes zoster vaccine, designed to prevent shingles, is recommended for those over the age of 60. But these latest findings point to even greater risks of heart problems for those who contract shingles earlier in life. So the question remains, "Should younger people be getting the vaccine?" “The shingles vaccine has been shown to reduce the number of cases of shingles by about 50%,” notes Breuer. “Studies are needed to determine whether vaccination can also reduce the incidence of stroke and heart attack." Wow! Reading these comments is truly, truly sad. I stopped actually reading them for content because I could not get over how mean many of you are! Just a bunch of cyber bullies. Why do people get on a website and use anonymity as an excuse for such cruelness to others? If you were sitting in your office with all these people sitting around, would you actually sit there is say these things? How many of you are parents? Is this what our children have to live with as their role models? Oh and I can see it now. Maybe I will come back here later and see nasty comments about even this comment. I probably won't bother, but human decency should not be lost because it's "anonymous." By the way, it is nowhere as anonymous as you may think. Try to be nice people. My son got a small patch on his back when he was 7 years old. He is now 24 and this past summer he got a horrible case of shingles in his ear that caused Ramsey Hunt Syndrome. The Ramsey Hunt Syndrome is Bells Palsey like symptoms caused from the shingles around his facial muscles. One side of his face drooped for a few weeks along with the horrible pain of the shingles. I sent him this article. It will be something that he will need to stay up on. I just called my boss a di-ck. So yes, I do say those kinds of things to people around "the office'. Michael Scott would be proud. It is what is close to what I do http://www.westonaprice.org/ask-the-doctor/preventing-and-treating-the-flu?qh=YTo4OntpOjA7czoxMToidmFjY2luYXRpb24iO2k6MTtzOjc6InZhY2NpbmUiO2k6MjtzOjg6InZhY2NpbmVzIjtpOjM7czoxMDoidmFjY2luYXRlZCI7aTo0O3M6MTI6InZhY2NpbmF0aW9ucyI7aTo1O3M6OToidmFjY2luYXRlIjtpOjY7czoxMToidmFjY2luYXRpbmciO2k6NztzOjEwOiJ2YWNjaW5hdGVzIjt9. What if the worsening of health which is often associated with aging and increased insulin resistance( and less stable blood sugar levels,higher fasting insulin, dislepidermia, high blood pressure) manifests itself in decreased ability to suppress the dormant virus and at the same time makes the person more susceptible to cardiovascular events like stroke and infarct? I remember how I got sick more often , had countless urinary tract infections and yeasts infections and worsening migraines and asthma when my weight was raising and I couldn't stop it back then . Younger people who have shingles earlier in life most probably have worse health in general. I have no intentions to be vaccinated against shingles or seasonal flues. I follow the life-style choices which prevent me from having seasonal flues or any sort of infection during last 6 years. Why would you avoid getting vaccinated to prevent a disease? more than likely that is true with most younger people, but I had a case of shingles last year at the age of 25 and I am in great health. I weighed, currently as well,137 with less than 10% body fat from running and 5 days/week weightlifting. I also have a very healthy and clean diet. Some people like myself are either unlucky or genetically predisposed to greater risk of the virus. While your lifestyle choices may limit your risk, life is a game of odds. Your assumption that ( paraphrased) "younger people who get shingles are just less healthy in general) is utterly ridiculous. Please stop trying to think. It's not working for you. I prevent diseases successfully by addressing my immunity. I had no infections and seasonal flues during last 6 years, and doctors record to prove it. It looks like you were overtrained at the time when you got shingles, and it damaged you immunity, and as a result your dormant virus wake-up. Do you need more proof? Besides, people often tell that they eat "clean diet" when they avoid meat and saturated fats and saturated fat, which is not good for the immunity for several reasons – like vitamin B12, D,E ,A. deficiencies. Thinness is not the ultimate mark of a healthy person. My thinking was good enough to sort-out my own health issues and to help some people I know, so I will continue trying. I had shingles when I was 31 and I was in great health, and not overweight. I am however, a very anxious person and I tend to let stress get to me. Since being an anxious person is a risk factor for shingles and strokes and heart attacks, I am not surprised that people with shingles tend to have a higher incidence of these conditions. Galina says: "I prevent diseases successfully by addressing my immunity. I had no infections and seasonal flues during last 6 years, and doctors record to prove it." Oh, please. What utter nonsense. What "doctors"? Do you think anyone is going to believe you "addressed" you immunity just because you claim you haven't been sick, and that your doctors will tell us all so? Sure thing. Anyone can claim anything on the web. There's no evidence that you've done any such thing. "It looks like you were overtrained at the time when you got shingles, and it damaged you immunity, and as a result your dormant virus wake-up. Do you need more proof?" Than your say-so? Yes, more proof–or any–is required. You're no doctor and you obviously don't comprehend what vaccines do for the immune system. "My thinking was good enough to sort-out my own health issues and to help some people I know, so I will continue trying." You aren't "helping" anyone with your posts. You don't know what you're talking about. If anything, you probably do more harm than good. Of course, I can't supply you with my medical records, so I can't proof what I claimed. I experienced a period of worsening health between 45 and 46 years of age, when everything got worse – asthma, the frequency of infections, migraines, I was gaining weight despite doing cardio 10 hours a week, my ankles were often swollen. After I found the diet which worked for me, everything dramatically improved . I am sure, many people noticed that diseases come in clusters. My family doctor recently commented how I stopped having my "once a year " seasonal cold. When it is about facts of Kendric being over-trained – you don't need to be a doctor in order to detect that, com-on, a female with 10% on body fat due to a lot of running who does weightlifting 5 days a week is not over-training? Most wouldn't be ovulating with such BMI, how healthy is it? How do you know Kendrick is female, Galina? Assumption? Not much of a diagnostician, are you? You are right her. It was an assumption – I guessed it was too low weight for a male. I could be wrong with a gender. Even for a male the wakening up of a dormant virus after a period of intense training strongly suggest over-training. Says who? You? You've proven that you're nothing but a nut-case, Galina. You don't know anything about shingles or much else, based on your posts. Go blow. Galina-your comment is ignorant and ill informed. I am an extremely healthy person, run marathons, eat healthy, and have low body fat. HOWEVER, when I was pregnant I got shingles. It can be triggered by stress and immune issues-not all induced by the factors you describe. Your statement is quite shallow. I was not informed about your pregnancy (it indeed affects immunity) when you got shingles. You training schedule and extremely low body fat % typical for female bodybuilders would indicate over-training for most people, and the physiological stresses of running a marathon is very high. My husband had a bad case of Shingles several years ago. The pain was incredible and lasted 6-7 weeks.Unfortunately, insurance only covers the vaccine once you are 60+. He had to go to work and it was miserable for him. I had a bad case of chicken pox but don't qualify for vaccine. Saw our doctor a few days ago and he said that 3 of his other patients who had shingles last year had it reoccur this year and that the new bouts were much worse than the original bouts.It's an expensive vaccine (over $200) without insurance kicking in. If we can set aside the funds to cover them, my husband and I will get the shots. (Our doctor said that it would still be beneficial for my husband to get vaccinated.) Trust me, if you can get vaccinated for this, if you have had chicken pox, you really should do it. My husband's pain was off the charts and prescription pain medicines were completely ineffective. It's a nightmare to go through. I had shingles 5 years ago at 45. It was very bad (face, in the mouth, in the ears and near the eyes). It took a week before they figured out what it was and I finally ended up in the ER when it got worse. Best decision as the ENT on call switched meds and pain stopped within a week and I was better within about another week. The shot was not covered, however, my doctor wrote a letter to the insurance company to let them know I had shingles. Once the insurance company had the letter in hand, they reimbursed me the $250 for the cost that I paid for the shot. So, worth a try. And unfortunately, everyone in North America born since 2000 is at high risk of getting shingles. If you get chicken pox, you will have a good chance of having lifetime immunity. Shingles are generally only seen in old age. Now, we have a chicken pox vaccine that is mandatory for kids to enter school. The vaccine is live, and the virus stays dormant in those kids' bodies for the rest of their lives. It would not be surprising to see a spike in shingles cases once those kids hit their 20's and 30's. So now they need a vaccine to protect them from the effects of the first vaccine? Nice! (Not). The chicken pox vaccine was originally developed for kids undergoing chemotherapy. One out of three kids with leukemia used to die of chicken pox. That is where you should be using the chicken pox vaccine, because the benefits clearly outweigh the risks. But for normal kids, you may be doing more harm than good. What nonsense. My father had shingles-and he was never vaccinated for chicken pox. He HAD chicken pox. You are another nitwit no more knowledgeable than Galina. That isn't a compliment, dude. Shark, on what are you basing your assumption that people who have had the chicken pox are less likely to get shingles than those who've been vaccinated against the disease? Cite your sources. There is no reason to think that having been vaccinated against chicken pox will make more people likely to get shingles. Where are you getting this idea? Some of these comments are confusing. Once you have shingles- the vaccine is no longer an option. It won't work so why are some people who've had shingles THEN getting the vaccine? Shingles can come back several times a lifetime. Its actually very uncommon for somebody to even get it twice. Most people who get it only get it once. Yes, but the latest research shows about 30% of people who have gotten Shingles will get it again. It's impossible to get sick with influenza from a flu shot simply because the majoity of them come in an inactivated form. No, it doesn't "look like" that at all, Galina. Another dim-bulb speaks. Go sit on the stupid bench with Galina. My 24 year old son – very healthy & athletic, although extremely stressed at work, received a flu shot on a Friday. He said over the weekend he began to get a rash. On Monday he went to the doctor, who confirmed it was the shingles, although a very mild case. I have gotten flu shots religiously every year. No more. This year I got a shingles shot instead. I understand the flu shot can't give you the shingles, but after researching online, there is case after case supporting the flu shot/shingles connection. It seems apparent if a person is under a lot of stress, the combination of flu immunization/high stress can trigger the shingles virus. I don't understand why the CDC doesn't address this publicly. Had my son known that high stress could be a risk factor at the time of a flu shot, he would never have gotten one. Where are all these "cases" of the flu vaccine triggering shingles? If there are so many, then mainstream news organizations would be reporting the link. The shingles vaccine is only partially effective (decreases but nowhere near eliminates chance of getting shingles), but I've heard of no adverse reactions to the vaccine and the shingles is miserable/severe enough to try to prevent through vaccination. The flu, for most, is less obviously so, so I can better understand why folks who prefer to put as little foreign matter into their bodies as possible would choose to skip the reduced risk of infection with (and being contagious to others with) the flu that flu vaccine provides. @ Liza Harrington, actually, people who have had shingles can still get the vaccine, and it can reduce the likelihood of further recurrences of shingles (some unlucky people do get shingles more than once!). However, there's a bit of a debate/uncertainty in regards to when to vaccinate people who have previously had an episode of shingles. Some believe that if you vaccinate too quickly after the initial episode of shingles that the vaccine may be less effective. And of course, this vaccine is not 100% effective (may be more effective in younger people who are able to form a stronger immune response to the vaccine itself, but at least 50% effective in general population), but as a health care professional, I tell my patients simply, if you can afford it, get it. I had shingles when I was 41. Should I be concerned? What precations can I take now? @sunflower2 – to be honest, when health care professionals recommend that their patients get the flu shot, most of the time it isn't to protect that specific patient. The idea is that we want to work hard to prevent the people with compromised immune systems (the elderly, patients with diabetes, COPD, young children) by preventing the spread of influenza from otherwise "healthy" patients to the compromised. And as someone else has stated, the flu shot is an inactivated vaccine, meaning it is not possible for it to actually give you influenza. It also does take around two weeks for the body to form an actual response to the flu shot (thereby enabling protection from that specific strain of influenza), so it is possible that you unfortunately picked up the flu from an outside source before your body was able to develop antibodies to protect you. Many things may compromise immune system – lack of sleep, over-training, lack of exercise, insulin resistance. Look at the diabetics 2 – they are more susceptible to infections, cardiovascular events, cancer. People who are insulin resistant, are just a mild case of their condition. Members of my family minimized refined carbohydrates in their diet, I and my mom just stop eating all grains, sugar, rice, potatoes, juices. The result – no one had a flue or infection since 2007. We also eat liberal amount of a grass-fed butter, vegetables, eggs and we don't avoid meat. EATING ANY KIND OF SUGAR HAS THE POTENTIAL TO REDUCE YOUR BODY'S DEFENSES BY 75% OR MORE FOR FOUR TO SIX HOURS. This is not new data. In the 1970's Dr. Linus Pauling (one of the greatest researchers in the field of microbiology) discovered that vitamin C helps the body to combat the common cold. As part of the same research, Dr. Pauling found that sugar severely slows down this same process." You are a dingbat. It's FLU. Not FLUE. The FLUE is in a fireplace. As someone else said, stop trying to think. It's not working for you. If you believe the only way to prevent disease is a vaccination, YOU don't think much, you just follow directions and call a person you disagree with some names . How clever is it? If you think you have a clue, Galina, think again. Not only is your reading comprehension lousy, but you don't know what you're talking about. Vaccines prevent diseases from spreading to those whose immune systems are compromised. Nobody cares whether YOU get sick, you simpleton. What people care about is who gets sick FROM you. EATING ANY KIND OF SUGAR HAS THE POTENTIAL TO REDUCE YOUR BODY'S DEFENSES BY 75% OR MORE FOR FOUR TO SIX HOURS." This is complete nonsense. It figures you have to resort to quack websites to find what you think of as "facts." They aren't facts and there's a reason you can't find a peer-reviewed study to back up these asinine claims. I care if I get sick, and a vaccinations are not benign. Itcompromises immune system , it is the reason why so many people report being sick after a vaccination. I (and all members of my family) don't get any seasonal vaccinations, for example, because I don't want to compromise MY and THEIR immune systems. I am prone to have allergies, and any flu or infection may sent me back to asthma medications, which I don't use for last 6 years. Probably, for the public good it is less important than the reason you mentioned, but I have the right to health. Simpletons are the people who do whatever thy are told to do without any attempts to find more facts. You can dismiss any information which doesn't fit your point of view, of course. Absolute and utter drivel. Vaccines do NOT compromise the immune system. They stimulate it to produce antibodies so that those vaccinated become immune to the disease. That's HOW THEY WORK. You can't GET the flu from the vaccine; it's a dead virus, not a live one. I repeat: you don't know what you are talking about. I know I can't get flue from a dead virus, I never suggested it was a possibility. I commented that vaccination compromises immune system. There are other possible complications. Besides the experience of many people that they get sick after a flu shot, there are many instances when even health officials start investigating the connection. Here is the article, for example , which started with " several studies suggested that individuals in Canada who had previously been vaccinated against seasonal influenza faced an increased risk of pandemic H1N1 (pH1N1). "http://www.science20.com/news_articles/seasonal_flu_vaccine_increased_h1n1_infection_risk "Those studies have undergone further peer review and researchers writing in PLoS Medicine say their conclusions may be valid, though more research needs to be done to confirm the results." I also remember how my son who had a childhood eczema always experienced a worsening of that condition after immunizations, many vaccinations for him was seriously delayed and well-spaced according to the advice of his pediatric doctor. More baloney from the master. Vaccines DO NOT COMPROMISE IMMUNITY. Prove otherwise with a cite for a peer-reviewed study, you fraud. You are not knowledgeable. You are wrong. Do everyone a favor, Galina. Stop posting your falsehoods. In case you missed it: you don't know what you're talking about. I know enough to keep myself and my loved ones free from seasonal flues, infections and other heath issues for several years. I am proud of it. Most people I know can't say that. You don't even know how to spell "flu." You are posting inaccurate information about vaccines. You don't even understand how they work. From Quackwatch: "Pauling is largely responsible for the widespread misbelief that high doses of vitamin C are effective against colds and other illnesses." The website Galina is quoting is run by a chiropractor who is a member of the Church of Scientology. DUH – many times shingles is brought BY STRESS – which adds Blood Pressure , nerves and heart rate, DUH. I had shingles when I was 14 years old. This could explain why I show inflammation in my blood work. The doctor has told me that I am increased risk of stroke and heart attack based on these test results. I just try to control the other risk factors. Did you get the chicken pox, or were you vaccinated against chicken pox? Shark, unless you have any research to show otherwise, it doesn't MATTER whether someone had chicken pox or was vaccinated against it. Sorry, I was mistaken. According to WebMD, if you were vaccinated against chicken pox, you cannot get shingles. If you had the chicken pox, you can get shingles. They say that shingles can be brought on by stress, as is heart attack and stroke. There's your connection. Okay, this is an important topic to me because I have had shingles, and, in fact, a very bad case of it. Mine occurred in my early 60s and exactly one month after I had received four rounds of chemo. I don't know this for a fact, but I think maybe the chemo brought the shingles out. I "may" have read that. No doctor ever told me that past 60, I should have a shingles shot. My firm belief is that had I gotten that shot, at least maybe I would have had a chance at not getting shingles after the chemo. As for whether I can still get one, I'm still looking into that, and I think that is debatable, I mean, whether I should and/or whether it would truly help me from getting it again. I STRONGLY RECOMMEND that EVERYONE over 60 get the shot! Shingles is absolutely horrible, and although I suffered terrible pain for nearly a week, and went to the ER three times to see what was wrong, and the docs did NOT figure out that the pain was from shingles that was "about" to attack me - had they diagnosed me correctly, perhaps they could have prevented what happened next. As a result of my awful case of shingles, I ended up with neuropathy in my leg and foot and what's called a "dropped foot." Honestly, I cannot imagine why anyone would refuse to get this shot, expensive or not, and I bet most insurance companies would pay for it today, maybe under Obamacare? Antycancer drags not only immunosuppressive http://www.ncbi.nlm.nih.gov/pmc/articles/PMC2840634/, but also increase the risk of cardiovascular conditions http://www.ehow.com/about_5220191_chemotherapy_s-side-effects-heart.html. Probably, it is the case when vaccination against shingles is reasonable, but on another hand, no one can predict in which way immunosupression after chemo will manifest itself. 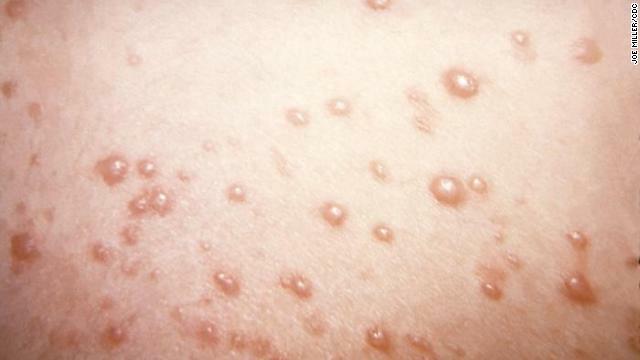 You cannot get shingles unless you have had chicken pox, or been vaccinated against chicken pox. It is highly likely you had chicken pox as a child. And very likely the chemo bumped down your immune system so it could come out of hiding as shingles. Both chicken pox and also the chicken pox vaccine (yes, it's a live virus they use) will cause you to be permanently infected with the chicken pox virus. For people with a history of chicken pox infection and no other health concerns, 60 should be ok to boost immunity to prevent shingles, and the chicken pox vaccine should be restricted to use in high risk groups only. If they want to indiscriminately vaccinate everyone against chicken pox, they better come up with an inactivated vaccine rather than setting up everyone for shingles later with the current vaccine that was originally a 'seat of the pants design' to be used in cancer patients. I was 32 years old and developed Shingles. Pain still carries on to this day. Anybody who cites Mercola as "proof" of anything is to be laughed off the board. Mercola is a quack. It seems to work. Second example . "This is an extraordinarily safe vaccine. A few percentage points of people get chicken pox blisters around the site, but they are harmless and they go away." Is there any reason I shouldn’t get it? "Only if you have a compromised immune system." "
So, dormant virus awakes when immune system gets compromised, but vaccination is not recommended when immune system is compromised, but we should get vaccinated against shingles anyway because there is an unexplained statistic correlation between shingles and cardiovascular events. With all that as one of commentators on that post noticed "Shingles can come back several times a lifetime" anyway. Again, you are trying to equate two things that aren't equal. No one is saying that someone, or everyone, who has an underlying condition that already compromises their immune system should be vaccinated. What you did was to make a broad claim that the vaccine itself weakens immunity. In healthy people, vaccines do not weaken the immune system. Stop trying to recast your argument. You are simply not able to back up your original claim and now you're trying to back-pedal. And this? "dormant virus awakes when immune system gets compromised, but vaccination is not recommended when immune system is compromised, but we should get vaccinated against shingles anyway because there is an unexplained statistic correlation between shingles and cardiovascular events" This doesn't even make any sense at all. Doctors aren't recommending the shingles virus to someone whose immune system is compromised. They're recommending it for people over 60 who had the chicken pox earlier in life. Why are you attempting to twist words to mean what you wish they did? Shingles may occur in someone whose immune system becomes compromised by stress, etc., but what is being recommended is that people get the vaccine BEFORE they become susceptible to shingles. Really, it's just dishonest of you to use this straw man argument. Once again, our medical "experts" have noted an association and confused it with cause and effect, and drawn a conclusion based on poor reasoning. So people who have a shingles outbreak are much more likely to have a stroke/heart attack, and therefore shingles causes strokes/heart attacks....NOT! It is just as likely – perhaps more likely – that the reason people's immune systems go wonky and re-activate the chicken pox virus is the same reason that a person is more vulnerable to stroke/heart attack, and that it is the immune system dysfunction, NOT the shingles infection, that is the real culprit. And what causes immune system dysfunction, you ask? We don't know for sure, but stress seems a possible culprit, and gee wow – increased stress has certainly been linked to increased blood pressure, stroke and heart attack – but Big Pharma doesn't have a way to profit from treating stress. Another who is unable to read. They didn't conclude anything at all. They simply recognize that the data show that someone who has shingles is more likely to have a stroke or heart attack. Nowhere does it say that the researchers "concluded" that shingles CAUSED the other events. I am 58 years old and have had shingles 27 times beginning at age 20 when I was in nursing school, so it is possible to have them numerous times. Shinglesgirl, have you had the shingles vaccine? Just curious if the vaccine has increased, decreased, or had no effect for you. I'm almost 24, and I got shingles for the second time a few months ago! It was only a small patch this time and not very painful, but it still scares me that I'm so young and have had them twice now. The first time I had shingles was when I was only 11 years old! And to the guy who wrote above that shingles happen when you don't get chicken pox, that's just false information. I had chicken pox when I was four. Brianna, don't worry. Statistical association doesn't mean causation. It allows only to form hypothesis which still needs to be investigated and proven. Media often treat unproven hypothesis as new undeniable facts when report about medical studies. May be all that "big news" about the yet unexplained association between shingles and cardiovascular events is just a part of PR campaign to make a shingles vaccine to be the new mandatory treatment for the people after 60 years old. My assumptions correlates with sudden appearance of commercials on TV which promote such vaccine. Brianna, I wouldn't take a thing Galina has to say without a grain of salt. She thinks Dr. Mercola, a known quack, is a good source of information. Everybody's opinion should be taken with a grain of salt. Where is the source of 100% truthful advice? My husband recently refused to participate in a peer-revue program because of the qualities of the articles he was receiving. Official diet recommendations are under deserved criticism, the standard practice of lowering total cholesterol with statines many even in medical field find questionable, very often public suspect that some recommendations are based on financial benefits of pharmaceutical or other big companies. I don't try to say that everybody is a villain, it is all about the practice of taking everything with a grain of salt in general, and the statistic connection between shingles and a cardio disease as well. There are several theories of cardiovascular illnesses anyway . Well, Dr.Mercola could be on a quaky side, I agree with that, especially when he sells his supplements. Nobody is perfect,. Actually, his articles which I have read were well-referenced. I specially like what he writes about exercise . Wow! Just a reference to the Mercola's site was enough for Nobody to jump to the conclusion that he was my Master who gives me directions. You're the one who cited him as your source, Gal. If you don't find what he says about vaccines to be reliable, then why cite him? I am well familiar with Anthony Colpo blog (I am an exercise nutcase for sure), and I followed his arguments with Dr.Eades and I tried different things myself before pressing a judgement on what I agree with and what works. I am the person who walks the walk, not just somebody who is looking for negative opinions of others. All that ranking! I tried Weight Watchers and paleo myself, so I can tell which one is better without checking CNN. Just because you lost weight on it doesn't make it a good diet. From CNN concerning the ranking of diets on US News & World Report: "Being last on the Best Diets list doesn't mean Paleo is the worst diet ever (the "Cookie Diet" didn't even make the list). But U.S. News & World Report's experts said the Paleo Diet was too restrictive for most people to follow long term, and that it limited some essential nutrients. They also cited a lack of research proving the Paleo Diet's cardiovascular health and weight loss benefits in their ranking." I would think someone who claims that she's knowledgeable about nutrition would be concerned about the fact that the Paleo diet limits some essential nutrients. You don't have any research to back up your claims again. Just because something appears to "work" for you doesn't make it a good idea. There are people who think colonics "work" for them, too, even though there's no scientific evidence that they do. It strikes me as particularly hilarious that you're fussing about pharmaceutical companies making a profit but it doesn't occur to you to wonder how Dr. Eades made himself rich. Dr.Eades held medical practice with his wife for 15 years successfully treating people with weight issues, published a book or two, obviously earned money from that. He didn't have power to manipulate government into profitable for himself public policies , which big companies have. It was his book which got me started on a LC diet 6 years ago with amazing results when the old-fashion way of low-fat-fruits-vegetables-more-exercise completely stopped working for me. It was nice to stop that self-torture with constant hunger and too much exercising . No, he doesn't manipulate governments; he just bilks people who don't care whether there is any scientific basis for his claims and aren't satisfied with anecdotes. Edit: that should be "are satisfied with anecdotes." What you don't get, Galina, is that anyone who comes on here can claim anything to be true. That doesn't mean it is. Just because you say something is good doesn't make it so, and unless you can prove what say, I don't believe you. Neither will anyone else with a lick of sense. English is my second language I learned later in life. It doesn't interfere with my problem-solving skills. Probably, it still interfere with communications . You also have your own communication problem acting in a bulling stile. In case if you don't know, it obstructs your ability to convince anyone. I don't have a need to convince anyone, Galina. It's enough for me to discredit you. You've been asked to produce a citation to back up your claim that vaccines compromise immunity. When do you plan to do that? Nobody, I don't see the answer I posted here. I will re-post if it doesn't go through a little bit later. There are plenty of reliable sources that refute your claims, Gal. The only ones that support them are "alternative" sites that don't have any studies to back up what they say. The story didn't became a fiction just because Mercola digged it up. Pubmed article was not from an alternative site. Another comment didn't went through, even without links, probably it was too long. I have read your links,of course. official advice I also take with a grain of salt – it is often simplified, as I noticed dealing with some health issues. OK, couple of my comment didn't go through, I will try in mall portions. http://www.cdc.gov/vaccines/vac-gen/side-effects.htm#flu – complications from vaccines. "A vaccine, like any medicine, could cause a serious reaction. But the risk of a vaccine causing serious harm, or death, is extremely small." Is it dismissible? I am sure you know that people with autoimmune conditions usually get a flare of their asthma, eczema, RA after a flu, right? After so called Spanish flu people mostly died because their immune system was fighting back. With amount of people with allergies in population on the rise, it is better to avoid tipping immune system out of balance. Apples and oranges, Gal. You are changing the subject yet again. You made a blanket statement that vaccines compromise the immune system. That is not the same thing as saying that someone whose immune system is compromised by another condition may be adversely affected by vaccination. You have made a broad, and false, claim that vaccines compromise immune systems in general, and are trying to use one study to back up this claim. Nice try, but no. You're grasping at straws. Thanks for playing. Yes, it is what I have – enough to made me think so , not enough to prove the case for you. There is not many totally healthy people with un-compromised immune system in the population. I noticed that the standard medical approach is to dismiss small manifestations of allergies , while from my perspective as an allergic, any flare should be avoided if it is possible. When you are so convinced that the risk of an adverse reaction is greater than the benefit of the vaccine, you go right ahead and believe what you want. But you should remember that you're not the only person who is impacted by your decision. And you ought to stop misleading others with false claims about vaccines. It's unethical to do so. Oh, and more nonsense about the "very few people" who have immune systems that aren't compromised. You don't seem to understand the meaning of the word "compromised." Most people are healthy enough to have vaccinations. Most people are sensible enough to get them. When population is over-medicated and over-vaccinated (I know you don't think so), I don't think it is irresponsible for an individual who has a personal experience in improving her and her family members health and resistance to viruses and infections with the right diet and life-style choices, to tell others about such possibility. While it is important to be vaccinated against few very dangerous illnesses, is it unreasonable to rely only on vaccination for everything else. Oh, baloney. Our supposedly "over-medicated and over-vaccinated" population has a life-span that has increased by 40 years since the beginning of the 20th century. Unless you can produce solid evidence from a RELIABLE, widely-accepted source for your claims, they're nonsense. Sugar does NOT lower one's immunity by 70% and vaccines do NOT lower immunity. Your opinion is based on spurious sources, not those founded on solid science. You can continue to try to mislead, but I'll continue to post facts. And another straw man, Gal. Don't you get tired of using them? Nobody ever said that one should rely on vaccines and nothing else, nor did anyone say that good nutrition and a healthy life-style didn't contribute to one's ability to fight infection. Try using honesty for a change. You seem to think you're some beacon of light to others, but what you're posting are false claims. That's NOT helping anyone. You need a proof that Americans are over-medicated to the point it creates problems? "Is America the most medicated nation on Earth? Could be, according data just released by the Department of Health and Human Services (HHS) showing that at least half of all Americans takes at least one prescription drug, with one in six taking three or more medications." People live longer while getting sicker earlier in life, and not everybody think it is totally great, except, probably, pharm companies. That quote doesn't prove that everyone is "over-medicated," Galina, only that many people take medications. And I notice you can't provide any studies that do prove any such thing, nor can you point to any that show people are "over-vaccinated," another claim you made. People may be dying from obesity and other life-style related diseases. They're NOT dying because they're "over-medicated" or "over-vaccinated," and the only sites you'll be able to reference that say so are bogus, just like all the others you've used as "proof." "at least half of all Americans takes at least one prescription drug," And? That is indicative of the fact that we now have medication to treat many diseases, whereas in years past, people didn't have any recourse. The fact that some people are taking 3 or more prescriptions isn't surprising, either, considering the increase in our life expectancy. Certainly some people are being medicated with too many prescriptions, but it is hardly true that the entire country is "over-medicated." Do children get too many vaccinations? "http://www.quackwatch.org/03HealthPromotion/immu/too_many.html"
Sorry, Nobody, my reply to you went to the wrong place, it is there that English is my second language, and your bulling style of communication is a big minus as well. Whale is another nut-case alternative source. If you can't do any better than that, don't bother. You might want to watch this interview of one of the "experts" cited on the page you mentioned. "http://www.youtube.com/watch?v=Fs-E4-XL62w"
Or try this one: "http://www.sciencebasedmedicine.org/the-impact-of-antivaccination-lobbying/"
Better still, look up some of your "medical professionals" here: "http://www.quackwatch.org/03HealthPromotion/immu/immu00.html"
I sort-of got tired of the disappearance of my any not totally short responses. Shortly – Alternative approach could go too far as well as the advice to be over-medicated and over-vaccinated. Probably, it would be fare to disclose that out of all alternative approaches I mostly rely on Weston Price Foundation advice http://www.westonaprice.org/ask-the-doctor/preventing-and-treating-the-flu?qh=YTo4OntpOjA7czoxMToidmFjY2luYXRpb24iO2k6MTtzOjc6InZhY2NpbmUiO2k6MjtzOjg6InZhY2NpbmVzIjtpOjM7czoxMDoidmFjY2luYXRlZCI7aTo0O3M6MTI6InZhY2NpbmF0aW9ucyI7aTo1O3M6OToidmFjY2luYXRlIjtpOjY7czoxMToidmFjY2luYXRpbmciO2k6NztzOjEwOiJ2YWNjaW5hdGVzIjt9. And for avoiding health issues associated with metabolic syndrome – http://www.proteinpower.com/drmike/. Here's what Quackwatch has to say about Weston Price: "http://www.quackwatch.org/01QuackeryRelatedTopics/holisticdent.html"
Did you see the article about the Paleo diet Eades touts? It was ranked worst of the diets reviewed. Now we moved into the area I have the first-hand experience for several years, and I finally realized you absolutely have now idea what you are talking about, just the ability to find some criticism on internet (how hard could it be nowadays?). I and several people I know tried mentioned treatments and diets, If somebody put Weston Price Foundation on a quack list or paleo is low by some news outlet, it only explaines how so many people get fatter and sicker. You aren't familiar with Quackwatch, are you? Of course you aren't. If you were you wouldn't be citing quacks right and left. Did you read about Weston Price? There is no scientific basis for his claims. Why don't you read about him and others who believe in his "methods"? You must know the guy was a dentist, not an MD. From Quackwatch, regarding him and his ilk: "Holistic" and "biological" dentists use many approaches that are not only unsound but involve procedures and body areas that are outside of the legitimate scope of dentistry." The guy didn't know what he was talking about and neither do you. Keep right on, Galina. Your credibility is eroding with every post you make. I even own the book of Weston Price ,which is free on-line – interesting pictures. Very interesting epidemiological material, my dentist told me his doter is doing her PhD about the connection between general state of health and nutrition and dental health, and in his opinion WP was ahead of his time . Only you and me are involved in the conversation right now, the thread is not listed among current ones any longer , and people were scared away a while ago in disgust by your bulling style of conversation anyway. I will read the quack watch out of curiosity. The thing is – I tried many things myself, even that horrible DASH diet in order to keep company for my mom while visiting. For you the high ranking of such diet is the revered information, I found it very not-tasty, and the worse thing – it didn't work for declared purpose. Oh, get over yourself, Gal. People come and go on all these discussions. If you're so intimidated by being challenged to defend your outlandish claims by providing evidence, then don't make them. You have proceeded to diagnose people here and then give them medical advice, but you have no scientific basis whatsoever for just about all of them. You have yet to show any proof that vaccines lower immunity or that sugar causes one's bodily defenses to decrease by 70% You've failed to show that your beloved Weston Price was anything but a charlatan at best. You can't provide any real science to back up much of anything you believe. That would be fine if you weren't pretending you were dealing in facts and you weren't presenting yourself as some sort of expert. If you don't like being called on your false claims, then don't make them. It's not bullying to challenge you to provide substance. You can't do it and that's what really bothers you. You have a nice night now. I dodn't even try to defend Weston Price, he doesn't need my defense. It would be the same for me than arguing that sir Isaac Newton was not a quack even though besides lows of motion , gravitation, calculus, optics he extensively studied alchemistry and Bible. Creative people often cast wide in their area of interest. I presented myself in my comments as a veteran of trying to apply different health recommendation, and reported about what I observed and where I succeeded. I am one of thous who had to go father than eating according to Food Pyramid and other standard recommendations like immunization for seasonal flu, fear of saturated fats and statines for my husband. We can't prove much to each other because many sources reputable for you are not convincing for me because I found most official advice unhelpful in dealing with my own health issues. Many of the sources which helped me you consider quackery. It may be too long to go through, but I will try. You did not just tell others your opinions or present your ideas as "things that worked for you", Gal. You presented them as facts. They are not. It's just that simple. There is no scientific basis for Weston Price's diet guidelines, for the claim that sugar and vaccines lower immunity, or most of the other nonsense you posted. If you don't find science-based medicine and actual scientific research to be acceptable, then obviously facts and evidence don't matter to you. These are statements made as if they are facts, Gal. They're not. That's why I asked you to provide sources. You couldn't do so, except with studies done 4 years ago or quack websites that any reputable scientist would dismiss as bunk. "vaccinations are not benign. Itcompromises immune system , it is the reason why so many people report being sick after a vaccination. It looks like you were overtrained at the time when you got shingles, and it damaged you immunity, and as a result your dormant virus wake-up. Do you need more proof? Besides, people often tell that they eat "clean diet" when they avoid meat and saturated fats and saturated fat, which is not good for the immunity for several reasons – like vitamin B12, D,E ,A. deficiencies. Thinness is not the ultimate mark of a healthy person"
"Simpletons are the people who do whatever thy are told to do without any attempts to find more facts." One statement you made about flu vaccine, quoted above, was that the "so many people feel sick" after the flu shot was because their immune systems were "compromised." This is false on more than one point. It is not true that "many people feel sick" at all. Those who do get sick were probably exposed to the flu virus before they got the vaccine or shortly thereafter, before the vaccine reached its full effect. That's what is so disturbing about your posts: they are simply full of incorrect information. in the logical system you operate within, Weston Price is a quack, Dr.Eades has less credibility than some very rude fitness instructor from Australia, Paleo-style diet is worse than Weight Watchers. From my point of view, it completely discredits you, and I am not the only one person who experiments with life-style choices and believes only in what works in practice. It will discredit you too for others who, for example tried paleo or LC diets, or have read W.Price book or read the website run by the foundation in his name. Sure, I can't prove anything to you because I operate outside of your logical system. I believe it is time to say "buy" to each other . My previous answer to you was lost again. I believe it is possible that the CNN Health team appointed somebody to take part in the discussion about immunization. Nobody, if you are the person who argues with me because it is your job, I want to tell that I agree to allow my family doctor to release my medical information about the situation with my allergies and infections. My email should be known to the CNN web-site moderators. I don't work for CNN. I am not employed by any company in the medical or pharmaceutical field. The only person who's been discredited here is you, Gal, and for good reason. You're within your rights to have an opinion on anything. You're not within your rights to make up your own "facts." And it's "bye," not "buy." Don't let the door hit you. Gal says: "I operate outside of your logical system." You operate outside of any logical system in which facts and research findings are the basis for statements. These are some scary statistics since it's not uncommon in my medical practice to see a person younger than 40 with shingles! I developed a case of shingles at the age of 40. I thought I was having a reaction to the antibiotic I was taking for a chest cold – Levofloxacin (Levaquin). So I guess having a cold, my immune system was down. I felt good – just had a cough. But I thought it was interesting that I developed shingles (a virus in your nerve roots), after taking a drug listing central nervous system effects in it's Adverse Effects section. While it may not have 'caused' shingles, I must have what I will call a 'sensitivity' to this drug. It is from the fluoroquinolone drug class. While many people take drugs from this family (Cipro and many others) and have no problems, I am amazed at what has happened to many others whose lives have been changed for the worse because of these drugs. Sorry – getting side-tracked...medications may also contribute to getting shingles. Well, well, well. Maryland reports that a child has died as a result of influenza. Happy about that, Galina? Smoke coming from the tailpipe displays in one of three colors: blue, white, or black. I am just trying to find out some good information sites for studying. I used to be seeking over google and yahoo and discovered your web page. Nicely i love your professional weblog design as well as your authoring abilities. Keep doing it. Honestly vaccines are the reason this stuff exists. I would rather not get shingles and autism from such a barbaric practice. That would be wonderful to have a vaccine for younger people. I was 35 yo when I had shingles. I'm not liking what I'm reading, especially the fact that I have heart disease and stroke in my family. I'm just glad I choose to take care of my body and don't have any other risk factors.